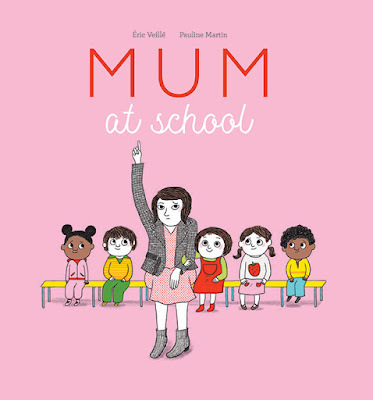 As a mum who is about to start the school adventure for the first time, this is my new favourite ‘starting school’ picture book. It's fresh and funny, and it's different from the usual school story, with a hilarious twist and heaps of humour scattered throughout. It all begins with the school drop-off. Mum is smiling and the star of the story, a young girl in red, is not. They enter the classroom, they meet the teachers, the other kids are nervous, the little girl is scared and then things go in the opposite direction to what you’d expect. The little girl does everything she can think of to make Mum stay, and in this particular tale… it works. Mum stays at school and then the little girl is smiling and Mum is not. Because school is not so easy for Mum. She’s not great at cutting and sticking, she gets stuck on the obstacle course, she doesn’t fit under the lunch table and she trips on a tricycle. The little girl helps Mum out as much as she can, but in the end it’s not really fun having your miserable mum hanging around. After a while, the little girl lets Mum off the hook and says she can leave, and with her new found bravery, the girl enjoys all the things school has to offer and helps other kids who are still feeling anxious. This is a really great story to read to kids who are about to start the school adventure. 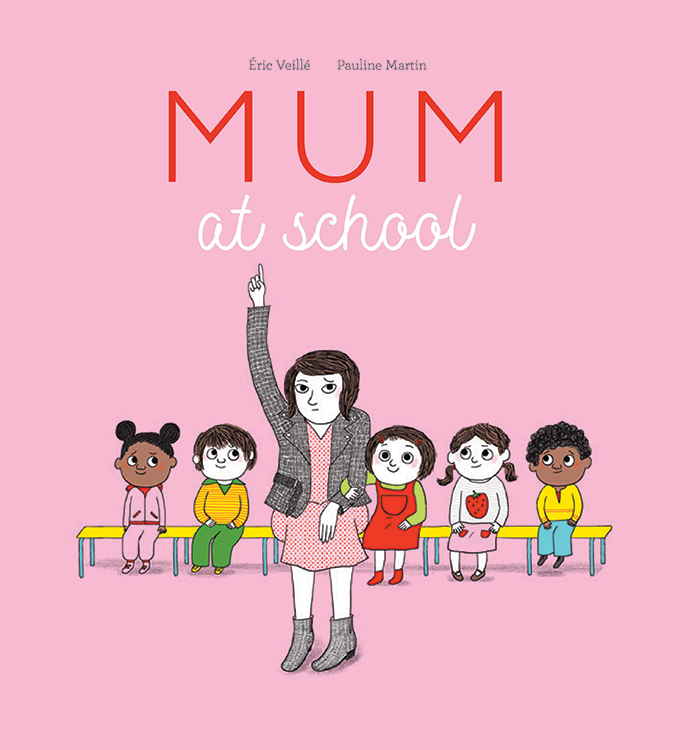 It shows them that school is not so scary, and even if they want mums and dads to be there, it’s not really the best place for mums and dads to be (unless you want hilarious calamity to ensue). With super bright colours on lots of white space, this is a visually striking picture book with lots of details to explore and discover. It’s fun and funny, and it's just perfect for all kids (and parents) starting school in the new year.